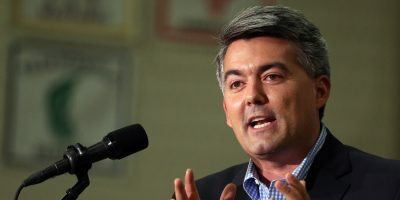 Cory Gardner on Ken Buck: "We need him. I need him. This country needs him." Cynthia Coffman was once a leading figure in a successful effort to defund Planned Parenthood, but has she changed her view? “It’s about our federal government. It’s about all of us. It’s about making sure we are prepared for redistricting and reapportionment. It’s about making sure we raise the money and the resources so we have the dollars to fight the fight. Ken Buck has been in the U.S. Attorney’s Office He’s been Attorney General [he hasn’t] He’s been a district attorney. He’s been in the US Congress. He knows what it takes to bring people together across the four corners of the state. From rural Colorado to urban Colorado and everywhere in between. Ken Buck knows how to organize a party. He knows how to bring the grassroots together. He knows how to bring the people who are going to fight for President Trump together. He knows how to win Colorado in 2020, he knows how to win Colorado in the Senate. He knows how to make sure Hillary Clinton- Guess What? Last Democrat to win Colorado- that’s what’s going to happen. Coming from the highest profile Republican in the room, Gardner’s endorsement helped Buck secure his victory over Rep. Susan Beckman. Three days later, Buck made national news for comparing a lesbian mom to a Nazito her face during a House Judiciary hearing on the Equality Act. This topic contains 0 replies, has 1 voice, and was last updated by Erik Maulbetsch 2 weeks, 2 days ago.